Dovi: "Today’s times aren’t really a reference"
The first day of the official IRTA test from Jerez was a virtual washout. 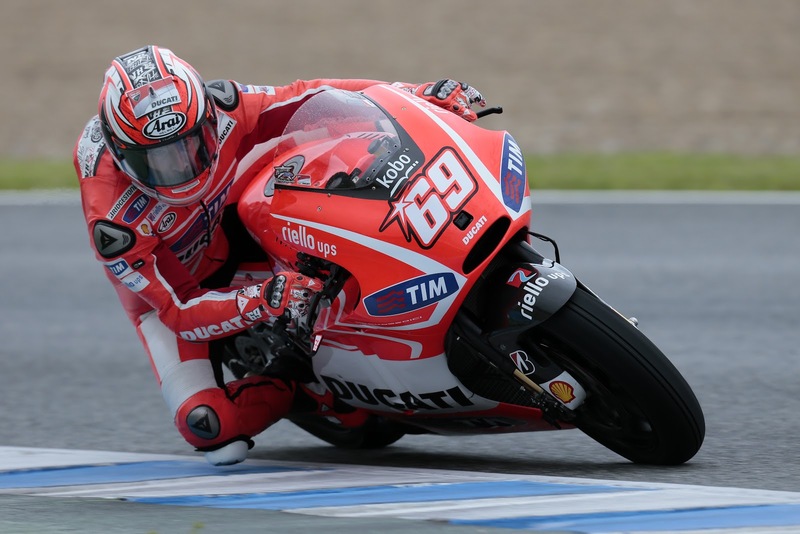 Factory Ducati riders Nicky Hayden and Andrea Dovizioso sit in 7th and 10th respectively, as they continue the development programme of the Desmosedici GP13. Hayden and Dovi continued to ride the same bike as they had for the previous IRTA tests from Sepang, last month. All the while, the official test rider, Michelle Pirro continued his progression with the ‘Laboratory Desmosedici’, rounding off just shy of 50 laps around the Andalucian circuit, finishing fifth in the standings. The Jerez test continues tomorrow, where hopefully the weather will be a little drier, allowing more thorough testing for all the riders present. Next Next post: Smith – "the last thing I wanted to see was conditions like today"